Delays of 6 months or more are not uncommon. This is not an “inconvenience” this is a denial of a right pure and simple. If you are delayed you will likely be given the “challenge line” phone number. Don’t waste your time. While there is no reason to believe you will get a response from the bosses of the ID Unit, it’s at least worth a shot. It is now clearly the official policy of the OSP ID unit to ignore, stonewall and disregard any attempt to get information from them about delays and denials. Virtually no one answers calls and when they do they provide no information and no assistance. They have built bureaucratic walls so high practically no one is getting any meaningful response from them. At this point your only hope is if you live in a district with a friendly Republican legislator. If so, contact them and ask them to intercede. If you live in a Democratic district, the chances of you getting help are essentially zero. Your other option is to find a gun store that is willing to obey the law and transfer the gun without approval after 3 business days have elapsed. There are not many who will do this, but we should be rewarding the ones who do. The OSP has a fax line where you can send info that might be helpful to allow you to actually exercise your rights, since they can’t seem to find this info themselves. If you have court documents or other info that would assist in getting past OSP roadblocks, the fax number is 503-370-8584. Please consider also contacting House Rep Susan McLain. (D District 29) She claims “Meeting at a licensed gun dealer to complete a background check is easy.” She clearly has not tried it. Her number is 503-986-1429. While your at it, you might want to contact the people who have expanded this failed system to any firearm you so much as want to store for a friend. In the House, the main force behind expanding this mess was Val Hoyle. Local phone; 541-221-9162. In the Senate, Floyd Prozanski rammed this expansion through with an “emergency clause” and claims it’s working great. The State Police told him so! Floyd’s district office number is 541-342-2447. His Salem office number is 503-986-1704. 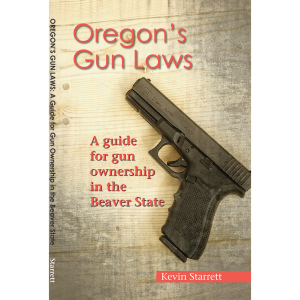 Remember, you also need to contact your Oregon House and Senate members and let them know that the State Police are simply not getting it done. The “background check system” is stopping no criminals, but it sure is attacking the rights of the law abiding. If you don’t know who your local reps are, you can find them here. (c) If the department fails to provide a unique approval number to a gun dealer or to notify the gun dealer that the purchaser is disqualified under paragraph (a) of this subsection before the close of the gun dealer’s next business day following the request by the dealer for a criminal history record check, the dealer may deliver the handgun to the purchaser. Although this statute references “handgun” a later statute makes it clear that this applies to all guns. Many gun dealers have been lied to for so long that they believe if they proceed with a transfer under these circumstances, they are somehow “liable.” Maybe because for years they have been told this by folks at the OSP ID unit who kind of like to make stuff up. If your dealer will not complete a transfer. Find another dealer.